Hey! "Every time a bell rings, an Angel gets his wings!" But I have to tell you, your self portrait in the Christmas ball is funny. (Not funny looking, just funny...it gave me and Marty a chuckle!) Another thing you should be Thankful for...you have a house with room for a tree! We don't even have a space to put one. But, I look at it as that's one more after Christmas mess I don't have to clean up! I used all my Christmas decorations and trees down at the lot to decorate the homes. oh, by the way, the picture of you and Daddy on your FlickR is VERY good. You should frame it. Like your Christmas photo. That is a good one of you and Dad ,too. 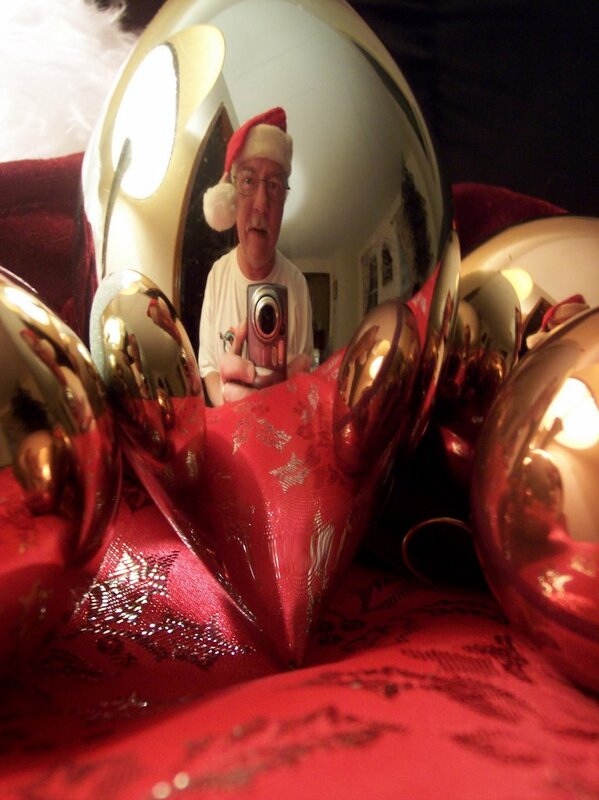 Love your self portrait in the Christmas ornament! Really clever!! !